Topshop heiress Chloe Green designed her second shoe collection for the brand incorporating different trends and styles into the line of shoes and boots with heels of different height. The kicks also feature jade green soles as an allusion to Chloe’s middle name plus last name and her signature charm stamp. 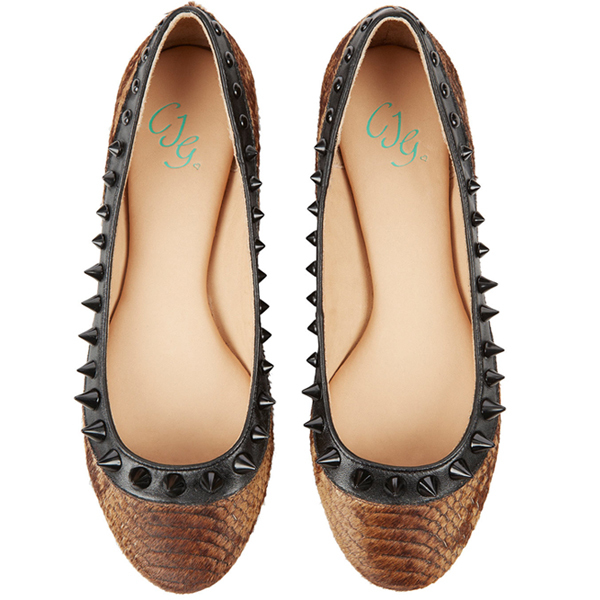 While the collection consists mostly of heeled shoes and sky-high wedges there are a couple of ballet pumps and studded biker boots. The color palette of the collection isn’t limited to classic and autumnly black and brown. There are bronze and mint shoes as well as printed ones that feature reptile skin and a Baroque print which is one of the Fall’s biggest trends. 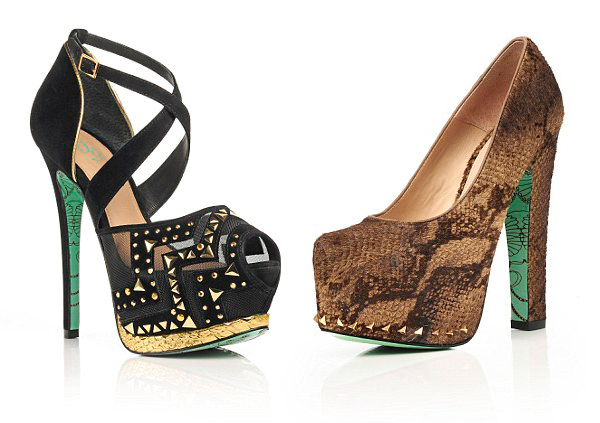 The heeled shoes are truly sky-high featuring big platforms beside the heel. 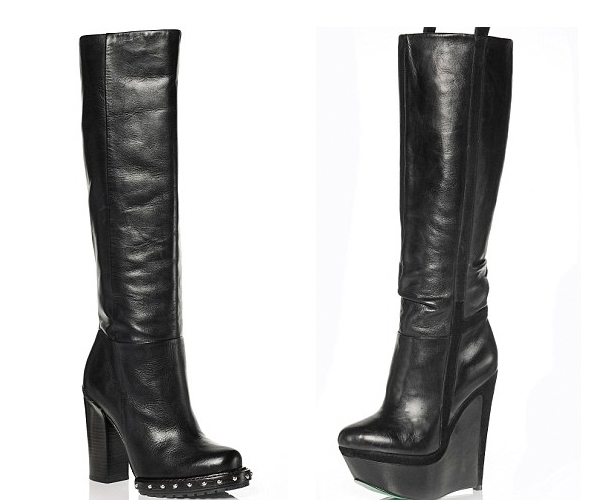 There are though Black Moon Ankle Boots that have a smaller 4.5″ chunky heel that are somewhere in between when it comes to different heel heights. Various studs, metallic details and spikes are also a big part of the collection as they can be found virtually in every pair. 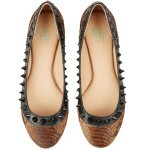 The Serpent Bite Ballet Pumps are trimmed with spikes and come in two finishes. What do you think about the collection by Chloe Jade Green?